REDMOND, Wash.--(BUSINESS WIRE)-- When confronted with a wide range of Black Friday retail options, U.S. holiday shoppers again turned to Nintendo. Nintendo sold 900,000 combined units in the Nintendo DS™ family of systems and 600,000 Wii™ consoles between Sunday, Nov. 21, and Saturday, Nov. 27, according to the company’s internal sales estimates. Limited-edition Mario red Wii hardware in honor of the 25th anniversary of the Super Mario Bros.™ game on the NES™. It includes a new red Wii system, a red Wii Remote™ Plus controller, a red Nunchuk™ controller, and games New Super Mario Bros.™ Wii and Wii Sports™ at a suggested retail price of $199.99. A limited-edition red Nintendo DSi XL™ bundle in honor of the 25th anniversary of the Super Mario Bros. game on the NES. It features a Mario red Nintendo DSi XL system with three iconic Super Mario Bros.-themed graphics, the Mario Kart™ DS game and preloaded software, including Brain Age™ Express: Arts & Letters, Brain Age Express: Math and Photo Clock. It is available at a suggested retail price of $179.99. Orange and green Nintendo DSi™ systems, which are bundled with the Mario Party™ DS game. They are available at a suggested retail price of $149.99. In addition to the great hardware bundles, shoppers have dozens of great video game options for everyone on their shopping lists. 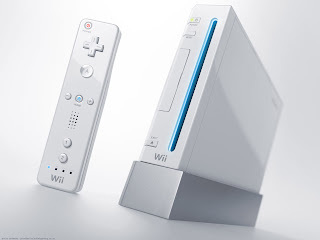 Some exclusive games for the Wii console include Super Mario Galaxy™ 2, Metroid™: Other M, Wii Party™, Kirby’s Epic Yarn™, PokéPark™ Wii: Pikachu’s Adventure, FlingSmash™ (which comes bundled with the new Wii Remote Plus) and Donkey Kong Country™ Returns. Third-party Wii games include New Carnival Games® from 2K Play, NBA JAM from EA Sports, Just Dance® 2 from Ubisoft, Sonic Colors™ from SEGA, GoldenEye 007™ from Activision Publishing Inc. and Disney Epic Mickey from Disney Interactive Studios. On the portable Nintendo DS family of systems, shoppers can choose games like DRAGON QUEST® IX: Sentinels of the Starry Skies™, Professor Layton and the Unwound Future™, Pokémon Ranger™: Guardian Signs, Art Academy™, Mario vs. Donkey Kong™: Mini-Land Mayhem! and Golden Sun™: Dark Dawn. Some key third-party Nintendo DS games include Super Scribblenauts™ from WB Games, Rock Band® 3 from MTV Games, GoldenEye 007 from Activision Publishing Inc. and Sonic Colors from SEGA. It's hard for me to imagine the Wii being able to pull of these numbers again during the next holiday season. Third Party developers besides a select few have all but given up on the Wii and next to no big games outside of Nintendo themselves are planned for next year. Nintendo is definitely not in trouble though as this kind of things seems to happen after the 4 year of a consoles lifespan and even more so with the Wii since it's technology is not what developers wanted from the start. Many lost causes on the Wii and lost opportunities for developers to really show what the system could do early on in it's life. Next year they will have the 3DS and boy will they reap the profit from that! I am really looking forward to Resident Evil and Metal Gear Solid and am hopeful for the movies, if they manage to get more movies like Transformers and possibly Peter Jacksons King Kong done for 3DS movieplayer all the better. Anyone think the 3DS might be able to somehow expand on the Wii's hardware? I don't just mean connectivity, but as a true expansion peripheral that may boost processing power? I read that there is still some very cool info regarding 3DS that they have yet to reveal...just a little speculating. You can chalk it up to Nintendo's marketing for this miracle. Other than The Legend of Zelda: Skyward Sword, the 2011 forecast looks very shallow and bleak. The 3DS, a handheld, has taken most of the spotlight and talks of a Wii successor are intensifying as we end the year. Reggie said the Wii needs to sell 15 million more units before we could even discuss a Wii2, but the press are still shouting at the rooftops for one.